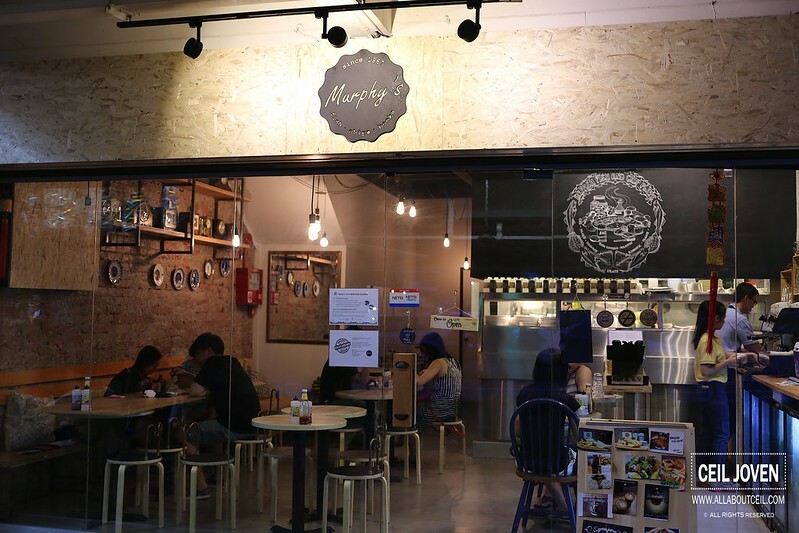 Murphy's is an award-winning Cafe established since 1967 in Hitchin, United Kingdom and it has set foot in Singapore serving its signature Fish & Chip and more. 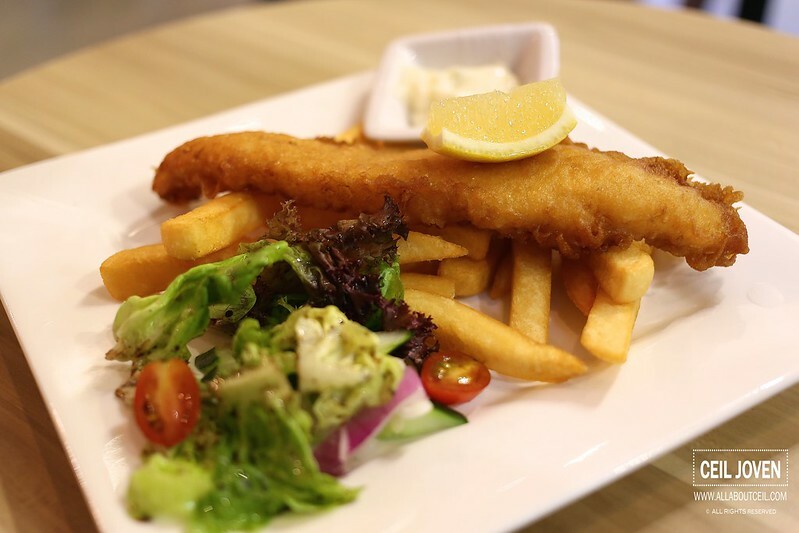 Its first outlet opened on 14 February 2015 in the heartland of Ang Mo Kio, just a stone's throw from where i stay. 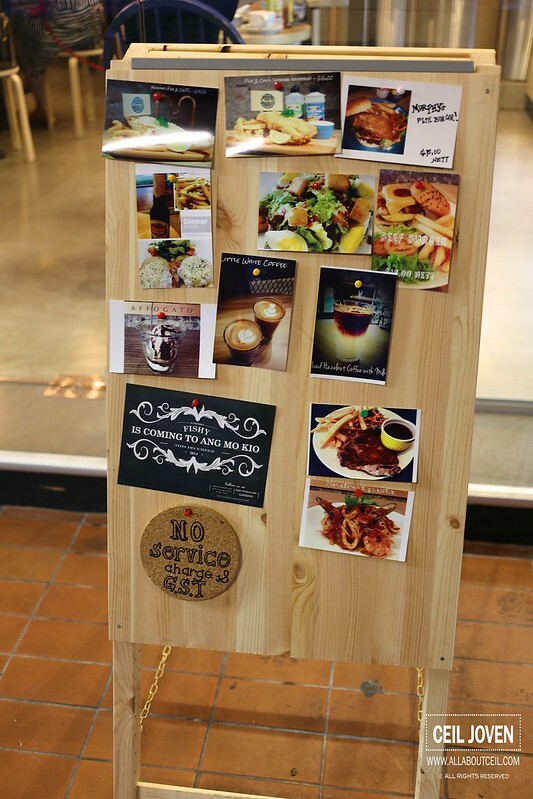 I was there in the evening, when i stood outside looking at their menu board and deciding whether i should give it a try as most of the items are quite pricey for a neighborhood cafe, at this moment, a serving staff came out with the menu. I was impressed with his attentiveness and decided to have dinner there. I was expected to order and then pay at the counter. I guess the main reason behind it is they do not charge GST and Service Charge. 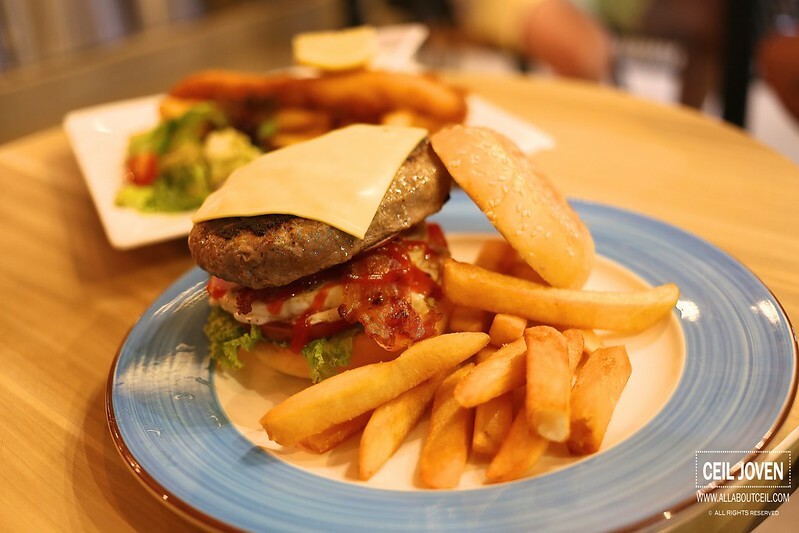 I decided to go with their signature Fish & Chip at $16 and Beef Burger at $15. Iced water is available at the self-service counter at no charge. 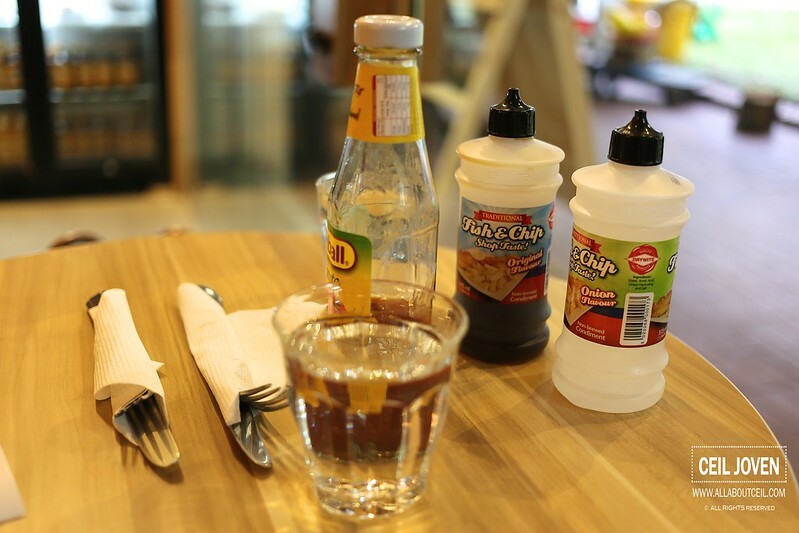 The 2 different types of vinegar, the original flavor and the onion flavor are available at every table to go with Fish & Chip, a typical English way in enjoying their traditional dish. 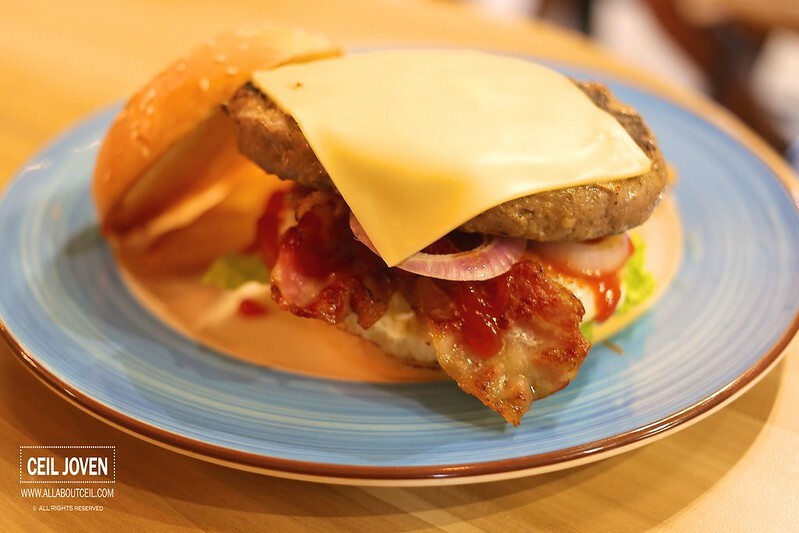 The Beef Burger came first, it consists of a rather thick patty with a slice of bacon and a slice of cheese together with a fried egg that served along with lettuce and a slice of tomato. 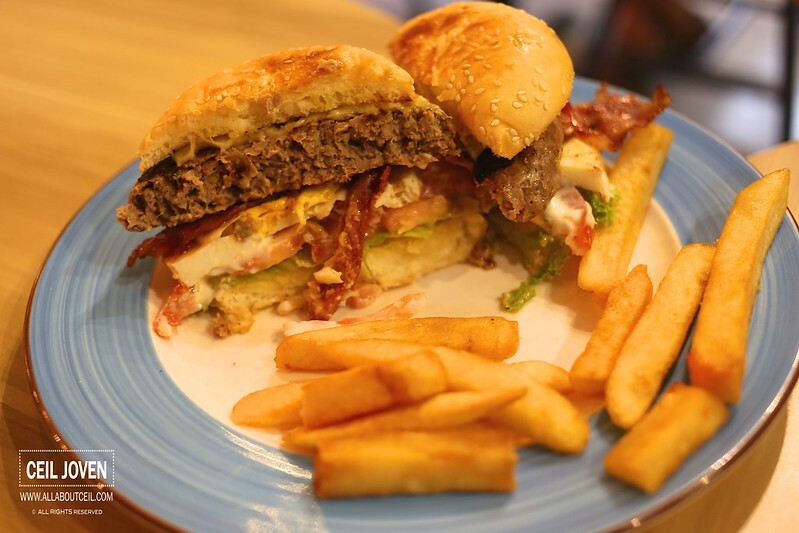 It came with a good portion of thick chunky fries too. The buns were slightly toasted to give it a nice crisp. I was not quite impressed after my first bite. 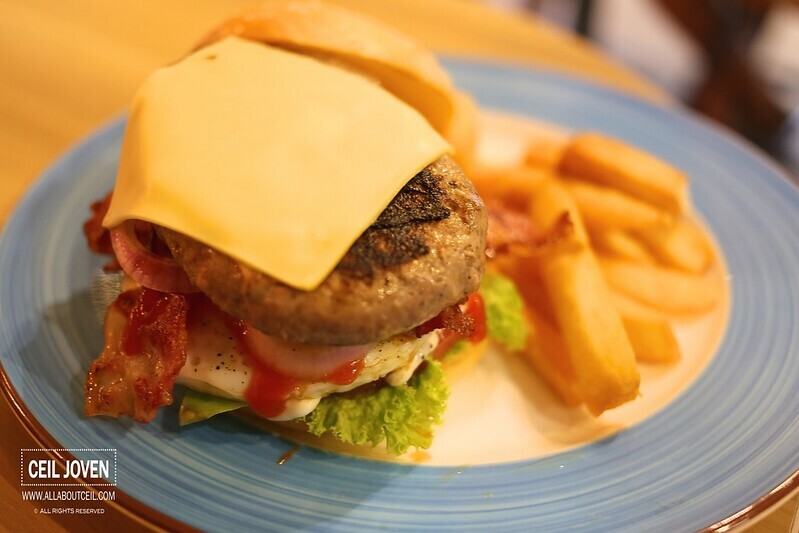 The patty though juicy but not much seasoning. And, it might be better if they have melted that piece of cheese. 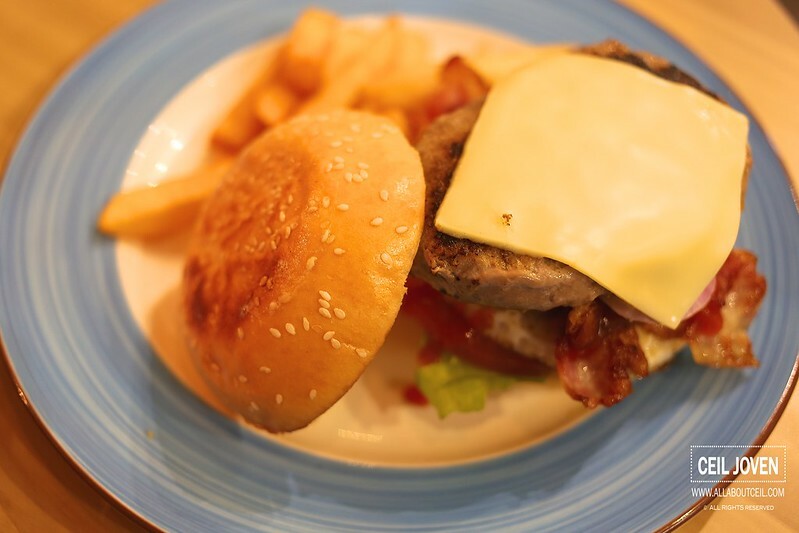 Overall, it was quite an average burger that did not worth the $15. I did not particularly enjoyed the fries as well. 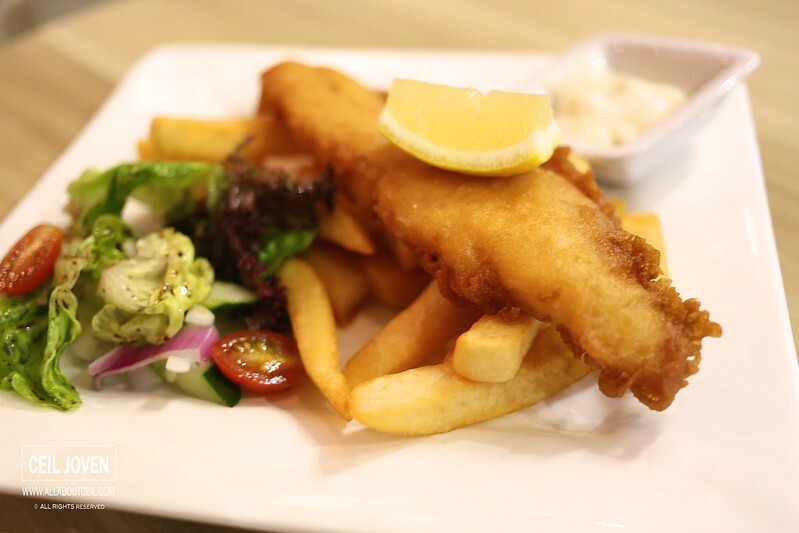 The Fish & Chip came right after. 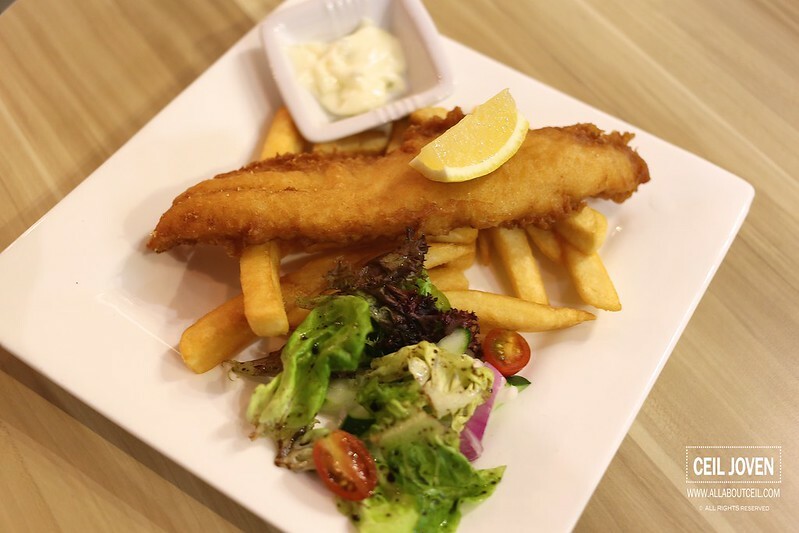 It consists of a piece of nicely deep-fried fish fillet with a substantial portion of chunky fries and a small handful of salad to go along. 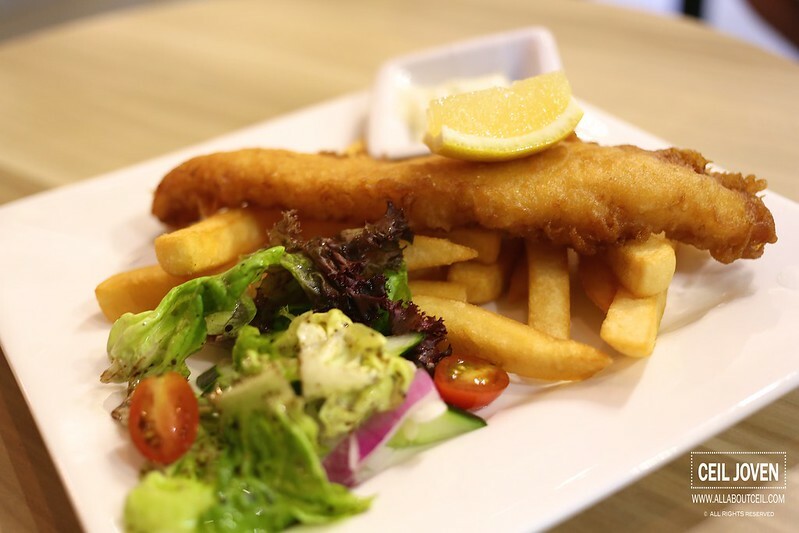 To start, drizzled the fried fish fillet with a few drops of vinegar then squeezed that slice of lemon wedge. After tasted the 2 different types of vinegar, i actually prefer the onion flavor a little more. Though special but the vinegar did not particularly enhance its taste. 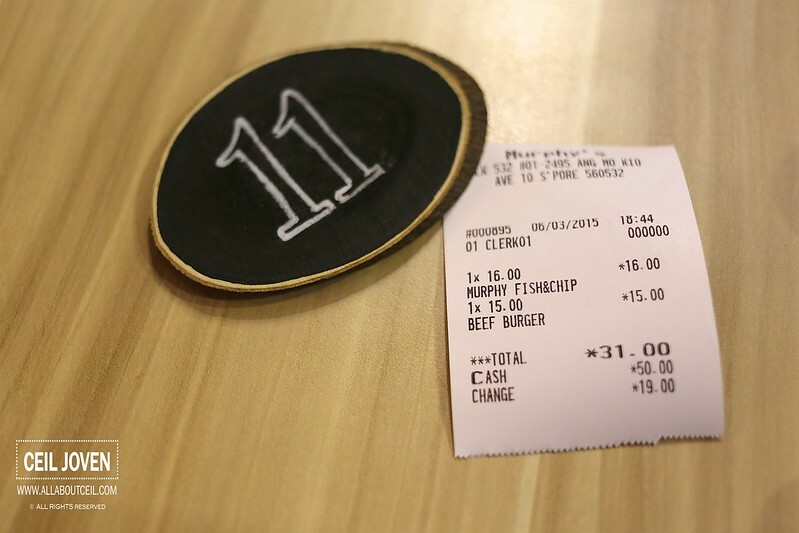 It was a pleasant experience though the amount paid did not quite justify the taste and portion served. It might be a challenge for such a cafe to survive in a heartland with this kind of price range.